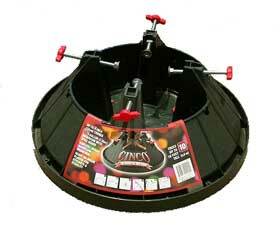 We offer you two sizes of Christmas Tree stands that will cope with trees from 1.2 to 2.7m (4 to 9 feet). In our experience, these are the best stands we have ever come across - no more precariously tied trees! 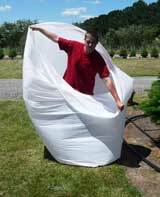 To get your real Christmas Tree home safely we offer a free tree wrapping service. We do not offer a general delivery service.